About - Shree Pet - by Pathik Overseas Pvt. 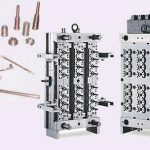 Ltd.
ShreePet is a leading manufacturer high-quality PET Preforms,Bottles,Containers, Blowing Machine(Plastic processing machine),Injection Moulds and Blow Moulds from almost two decades. With world class facilities and technologies, we serve every FMCG industry vertical from dairy to liquor, food products, pharma, home care, agro chemicals and personal care. 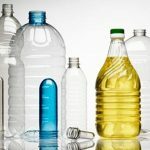 The group stands tall with pan India presence and converted more than 2,00,000 MT of plastics in bottles, containers and PET preforms and still counting. More than 100 machines installed around the globe, more than 300 machines running on moulds manufactured by us. At ShreePet we work closely with our customers to meet their requirements. We are backed by a technically advanced production unit that sprawls across a wide area and enables us to meet the bulk orders of the clients. Our infrastructure is equipped with latest machines, equipment and other necessary tools need for manufacturing and carrying out other business activities. 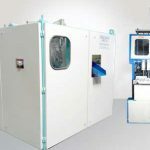 These machines and tools are tested on regular basis to ensure their accurate performance,minimum drop of IV, maintains AA level, offers good clarity and surface gloss,uniform distribution of material and allows the blower to blow it to the fullest and achieve maximum strength to weight ratio. Shreepet has a vision of delivering packaging solutions to the industry with passion and excellence. 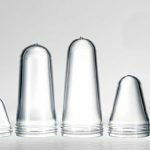 We highly focus on the plastic packaging space across India and beyond. We have developed a fully integrated value stream from R&D, Ideation and Design to Prototyping & Commercialisation, we constantly innovate new products and designs. Our creative team, tool room experts & competent engineers and workforce bring vision, quality and precision in our products. 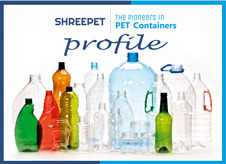 Shreepet promises its customer to be a one stop solution for all their PET packaging needs under one roof. Updated on 2019-04-07T14:54:05+00:00, by admin.